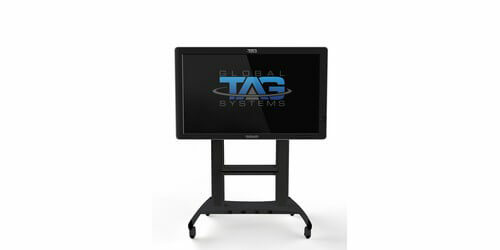 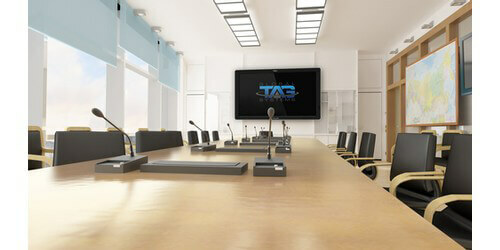 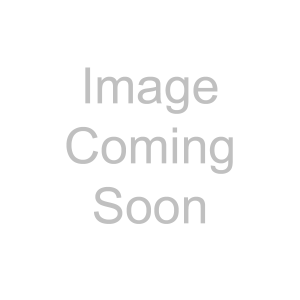 The TAG TECSLATE 84" from TAG GLOBAL SYSTEMS is a high powered 84" flat panel display with Rolling Cart It is ideal for office, home, school, or conference room use. 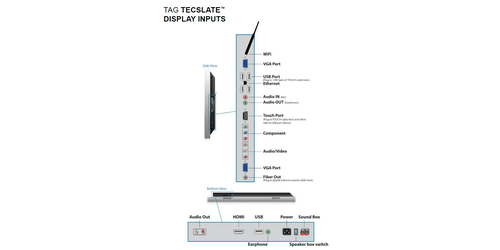 The TECSLATE has an interactive 10-point touch screen which carries an on-board Wifi enabled PC that runs the latest Microsoft Windows 10 OS. 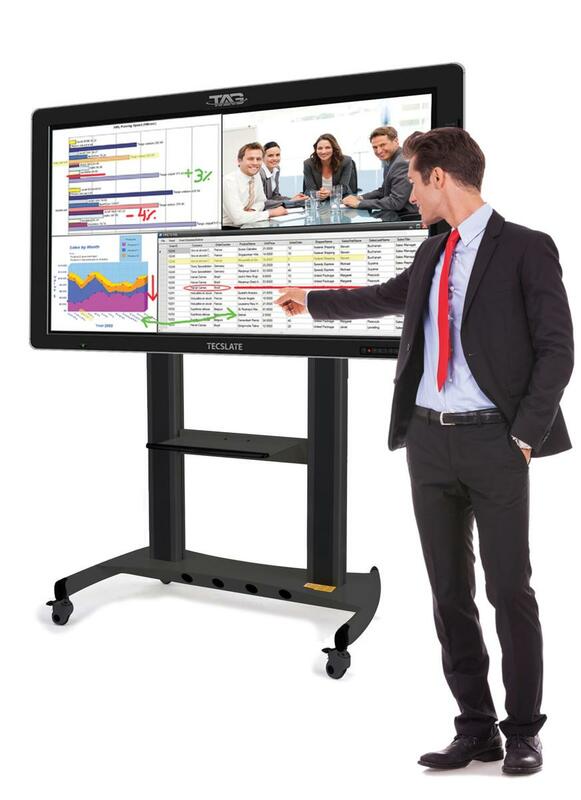 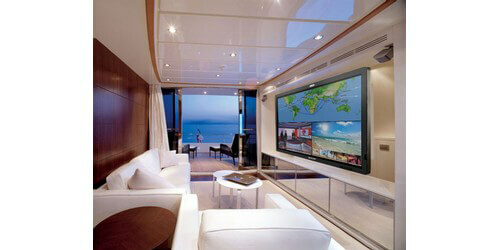 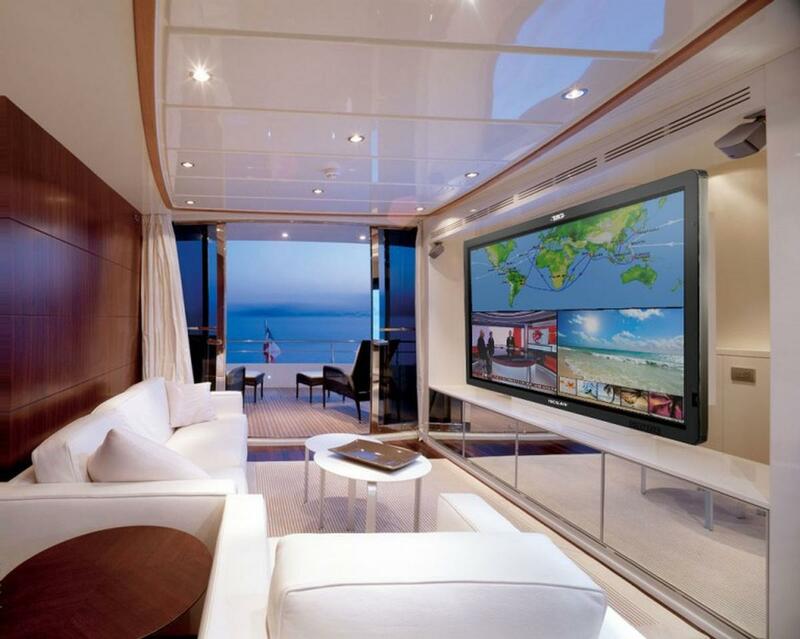 Featuring 200 Channel Digital LCD TV, including whiteboard interactive software. 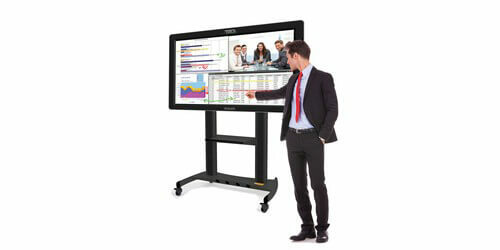 With the ability to Touch, Move, Scroll, Play, Highlight, or Draw your way to a clearer, more intuitive, experience for learning and communications at your finger tips. 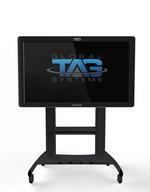 The TECSLATE 84" comes fully ready out of the box for Plug n' Play use. 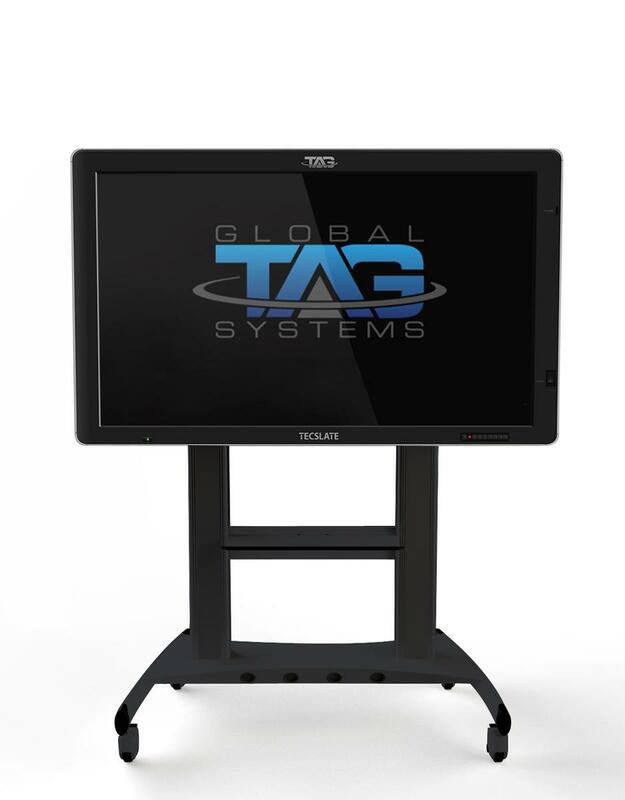 As the end user you have the ability to add a myriad of Apps and Programs, a fully customizable computer system allows you to bring your business to the next level of technology. 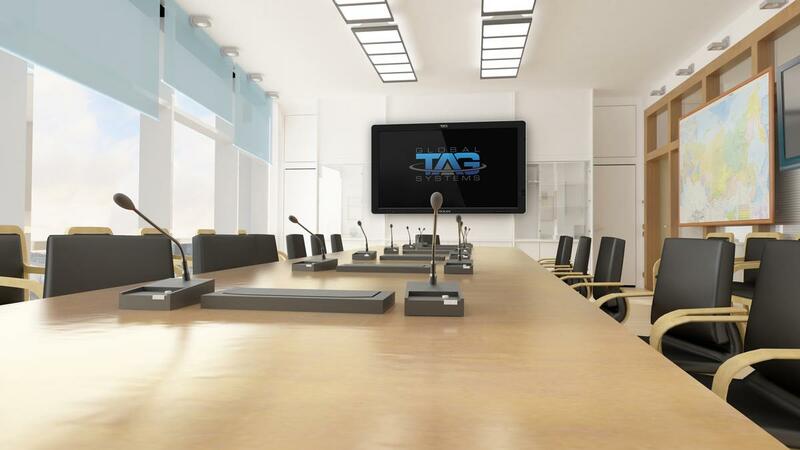 Making this a truly unique platform to experience. 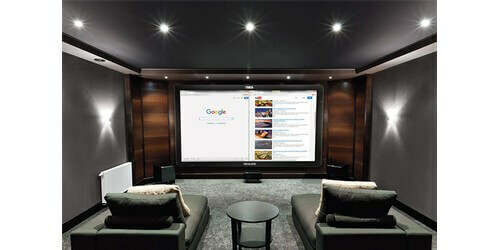 The brilliant 4K LED touch screen display features a Multi 10 Point Touch Screen, made with Tempered Glass which includes Anti-Glare allowing for viewing in an array of different lighting environments, and a 60Hz refresh rate will give you smooth video play back. 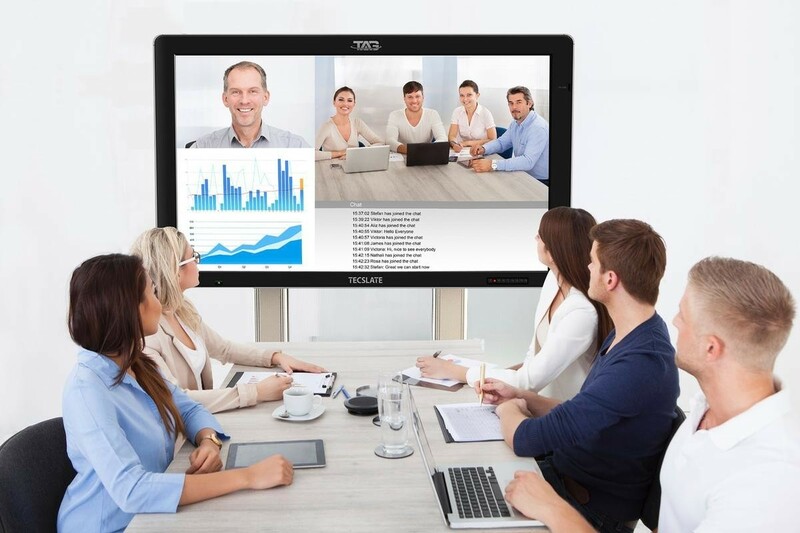 The TECSLATE redefines collaboration with its multiple 10-touch screen for several people to simultaneously work and communicate together all at once, and the same device. 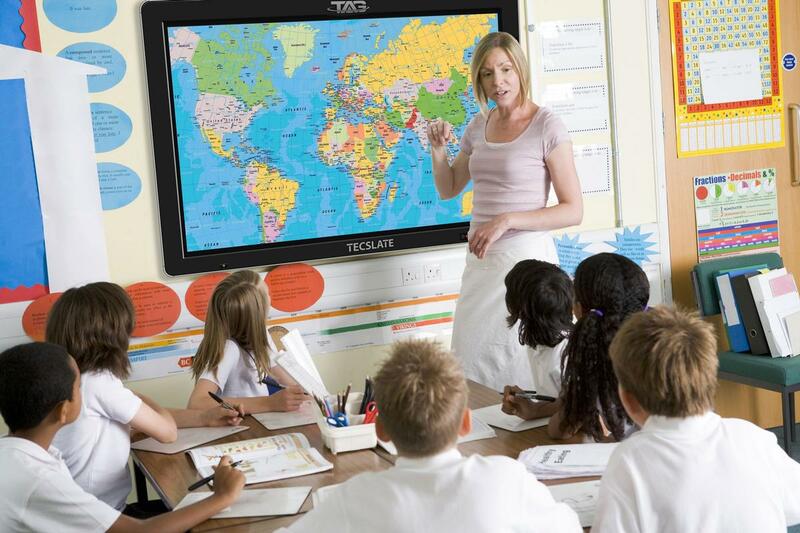 This interactive display delivers on every level, as an educational tool the Smoothboard Air Interactive Whiteboard software makes for an Interactive digital learning environment. 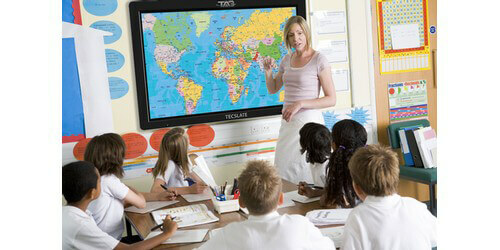 With easy teach - maps and graphs, the 1920x1080 monitor will increase student focus and promote collaboration. 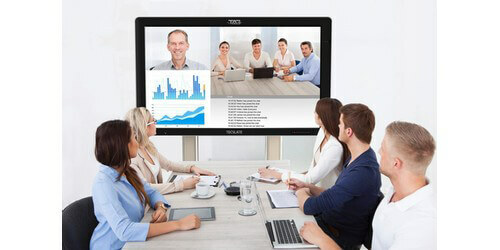 For a business tool system the TECSLATE allows for group communication, easily connects with your existing networks, great for multimedia presentations through video conferencing and a Quad screen Display, and the ability to add all your current business programs allows for technology expandability. 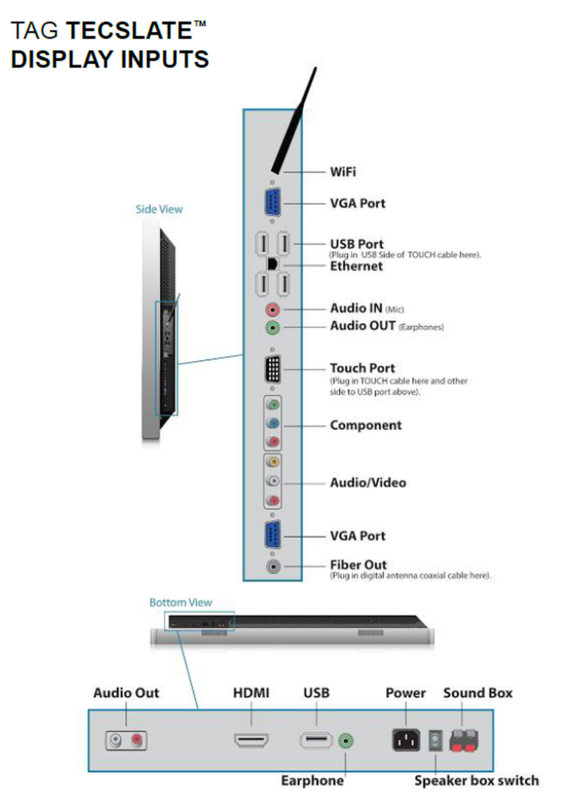 The internal TV tuner with included antenna makes this a great machine for home use as well, allowing you to smoothly stream Netflix, Hulu, and Vudu. 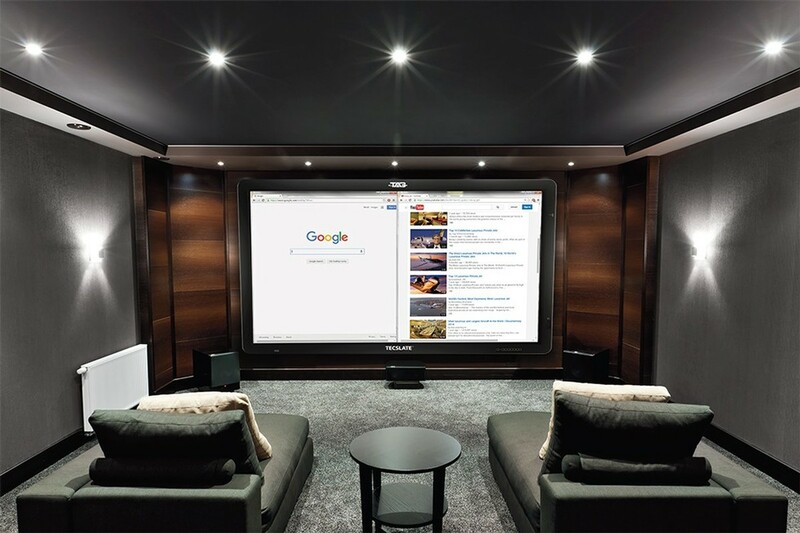 The 78"x46" LED display with included BluRay/DVD player will make all your movies, pictures, and sports games come alive for a fully interactive experience. 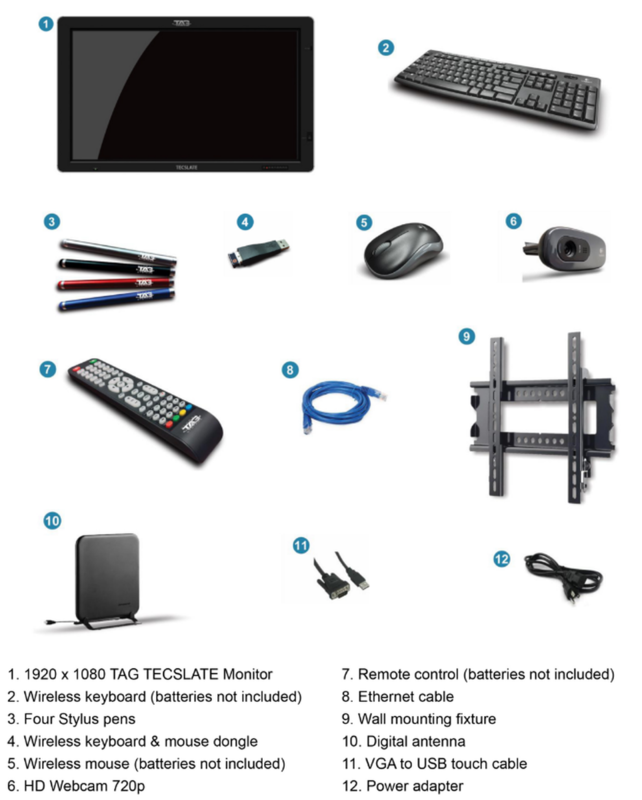 Out of the box you will also find: Rolling Cart with Locking wheels, Wireless IR keyboard, mouse dongle, remote control. 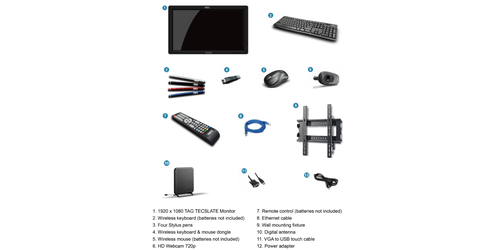 Additional Items include: Wall mount, 720p HD Webcam, Four Stylus Pens, Ethernet Cable, Digital Antenna, VGA to USB touch cable, Power Adapter, Four Stylus Pens and of course the 4K TAG TECSLATE Monitor, literally making this a true Plug n' Play setup from the moment it arrives.